East Los Angeles College’s Transforming Lives Campaign’s latest focus is the food certificate program, which provides students in urgent need of meals. The TLC was founded by the ELAC Foundation and its main purpose is to assist students who encounter sudden emergency situations, such as hunger. “Our Foundation board discussed creating a program to support our students around hunger, homelessness, transportation and clothes; we declared those were the four areas that we were going to create a campaign around,” said Paul De La Cerda, the executive director of the ELAC Foundation. The students’ situation is what determines the type of aid the campaign will provide for them. A report from the Associated Student Union last year said that 70 percent of students at ELAC have experienced hunger or food insecurity, about 43 percent of students feel their success is affected due to food insecurity and about 68 percent of students feel that ELAC must work on programs to tackle hunger issues. 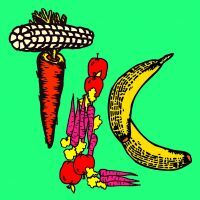 Food certificates are one solution the TLC has come up with to tackle food insecurities. Although made to help students, the point is to get them back on their feet and isn’t something that will continue throughout their entire community college career. Students are able to reach out to any faculty or staff member to explain their situation to try and get a referral, but must understand that not everyone is eligible. If the TLC is unable to accommodate certain needs other than food insecurity, Cruz said she is able to refer them to services or resources to help them in those other areas. The funds for the campaign come from donors, including faculty. The TLC asks staff to donate what they can from their paycheck on a monthly basis to help support the needs of students, said ELAC President Marvin Martinez. Every cent that is donated is given to the students and nothing is taken off the top, he said. The donors are people who have been in very similar situations or are concerned for the well-being of the students said De La Cerda. A survey from the Los Angeles Community College District’s board of trustees said “One in five students in LA community colleges is homeless,” but Martinez said on this campus, the number may be two or three out of five. The TLC was founded last November during an event that was held on Giving Tuesday in the multi-purpose room. “KCAL interviewed us that day and it was good recognition that we were doing something unique and different here at ELAC. Leading the charge in the state of California around the challenges of these basic needs that students have,” said De La Cerda. Giving Tuesday is a day in which people all over the world are encouraged to give a donation of time, funds and other talents to help with local issues. In this case, the ELAC Foundation was encouraging donors to do their best to give back to students. Those involved include 20 ELAC Foundation board members, a committee made up of faculty and students, a development team, Student Services and three full-time staff members at the corporate center, said De La Cerda. A $10,000 donation was given by a board member last year to kick-off the campaign and another significant donation of $25,000 was made by Viken Kiledjian, the chair of the Physics department. The campaign was able to get started with the combined help and influence of President Martinez, the Foundation, the community and the Speaker of the California State Assembly Anthony Rendon, who served as the keynote speaker during last November’s event. “The Foundation realizes that we must look at a student holistically. We want to have an impact on the student so they can complete their education without having to worry about where they are going to sleep, or if they are going to eat a meal and go to class prepared,” said De La Cerda. In the last week alone, the TLC has helped two single mothers and two homeless students and Cruz said she has met with 21 students as of now. “The long-term goal is for this to be around 10 years from today. I’m not much into doing a program that is going to just last a year because not much will be resolved. It will be here to help the next generation of students coming to this campus,” said Martinez. This campaign may take three to five years to begin moving in the right direction and he is hoping it can give out between $40,000 to $50,000 in donations to assist students with housing and food vouchers.